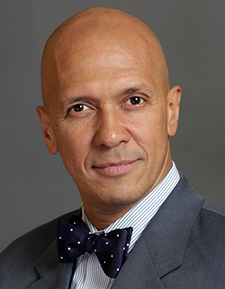 Jose A. Rodriguez, M.D. is an Attending Surgeon at the Hospital for Special Surgery, and Clinical Professor of Orthopaedic Surgery Weill Cornell Medical School. He is a fellowship-trained orthopedic surgeon who specializes in the treatment of traumatic, developmental, and degenerative conditions of the hip and knee, specifically with primary and total joint replacement, and focusing on early interventions for active patients. He has published numerous scientific articles including those pertaining to surgery for rheumatoid arthritis, total hip and knee reconstructions and the treatment of adolescent hip disorders. Dr. Rodriguez is involved in ongoing scientific research investigating the effect of minimally invasive technique on patient recovery and function, the process of bony adaptation to implants in primary and complex revision surgery, and implant design to optimize or customize implants to the individual patient’s anatomy. Dr. Rodriguez is originally from Bronx, NY and received his undergraduate degree from Harvard College. He completed his medical school education at Columbia University College of Physicians and Surgeons and his residency training at Hospital for Special Surgery. He has completed two fellowship programs; one at Lenox Hill Hospital in Arthritis Surgery and Joint Reconstruction and the Maurice E Muller Fellowship in Hip Surgery at the University of Berne, Switzerland. Dr. Rodriguez spent 14 years in the US Army Reserve, and has served 2 tours of service in Iraq.